in Saitama City, Japan, 2017 April 27(Thu) ~April 30(Sun). My shop (Yorozu-en) is located only 40 minutes (Car or Train) to/from the Main Center of World Bonsai Convention in Saitama City (Omiya). You can enjoy shopping from our world best-in-class collections of Sho-hin (small size) and Chu-hin (mid-size) Bonsai at this opportunity. Of course you don’t need to wait until 2017, we welcome you visiting us at anytime even before. 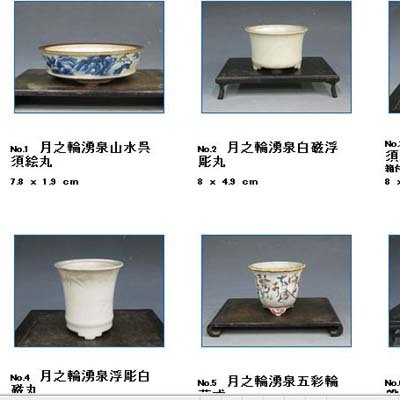 We also selling our pots correction on e-bay. We'll be grateful if you visit our e-bay store. Our customers are accepted for the KOKUFU BONSAI exhibition every year. Our customers were selected for the first prize for the GAFU BONSAI exhibition. We were selected for the SAKUFUSOSHIKI-INTYOU-SHO(the first prize for SHOHIN BONSAI) for the SAKUFU exhibition several times. We have high quality bonsai pots and bonsai trees. 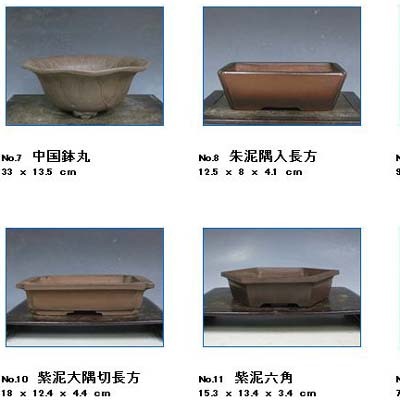 If you are interested in bonsai trees or bonsai pots, please contact us. We can show you some excellent bonsai. We can send bonsai pots abroad, but we can't send any trees abroad. If you come to our shop directly, we can sell bonsai trees. Please include "bonsai" or "pot" in the subject line, so that we don't miss your email. First we will check our stock, then we will send the pot. We wrap the pots very carefully. However, if a pot is broken we will send a replacement pot. Please inform us if there are any problems with your order within 3 days of arrival. If you are not completely satisfied with your purchase, simply return the pots to us in their original condition within 3 days of receipt. In this case you have to pay shipment and bank transfer fees. We guarantee that all personal information received will remain confidential. We can only accept bank transfers. Unfortunately, we can't accept credit card. Of course if you come to our shop directly you can use cash or credit card. If we send bonsai pots abroad, you also have to pay shipping and bank transfer fee. 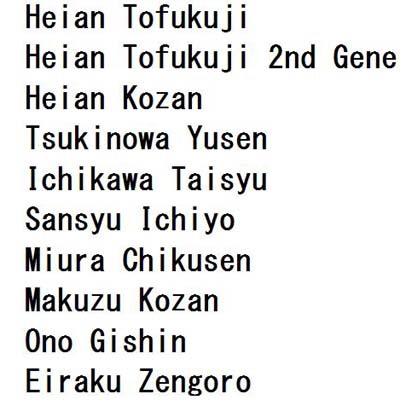 Shipping is about 5,000 yen, depending on the pot size and shipping area. The bank transfer fee is 3,000 yen. If you have web site you can link our web site. If your web site is about bonsai, we can link your site to this web site. Here is our web site address.